Your law school applications should never be left until the last minute. And with most schools offering rolling admissions, the sooner you can get your application in, the better. They require a lot of self-reflection, time, and energy. Especially if you are targeting T-14 schools, make sure that you give yourself enough time to put together a strong application. While it is never a good idea to leave all of the work for the last minute, there are things you should be thinking about as the deadlines come up. You never want to submit your applications and find a minor issue that could have been easily fixed! 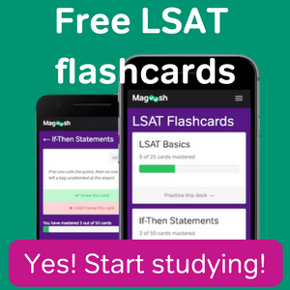 As you near the finish line of your road to law school, here are three last minute law school application tips to think about before you hit submit! Proofreading is a somewhat obvious tip, but failing to do so is one of the most common last minute mistakes that applicants make. While very minor issues such as spelling or grammar mistakes will not take away from your essay’s content, they are distracting to the reader. These mistakes also may point towards rushed or messy applications. The last thing you want your admissions reader to think is that you threw your application together last-minute! Reading your personal statement out loud is a great way to catch minor issues. Not only does this help you find typos, but it is also a great way to look for awkward phrasing and general flow. Another great proofreading tip is to have a friend or a family member read your finished essays. Sometimes, after you have worked for weeks or months on these essays, it is hard for you to find minor problems. A fresh set of eyes is a great way to find typos. Finally, you should not only proofread your essays in your work document, but you should also check them in your application. Make sure that the formatting is the way you want it, and double, triple, quadruple check for grammatical mistakes! Your recommenders have done you a huge favor in agreeing to write your letters. But they are not the ones applying, and many times, recommenders forget about deadlines. Make sure that you are following up with them! Send email reminders a month, two weeks, and a week before you are submitting your application. That being said, you want to strike a balance between helpful and annoying. Make sure that they are confirming once they have sent in their letters to schools, and then double check on your applications. Finally, once they have submitted, you should always send them a thank-you note! Transcripts can take your undergraduate institution a few weeks to send. Make sure that you give them enough time to send to the law schools on your list. From the other end, confirm that these transcripts have been received by specific schools and/or uploaded into LSAC. See the LSAC directions for requesting transcripts. 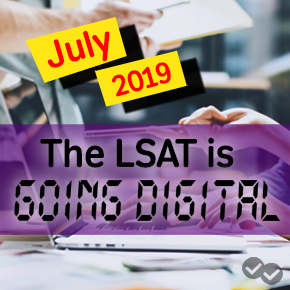 Once you have confirmed that your LSAT scores, letters of recommendation, and transcripts have been sent, read through your applications one last time. Check not only your essays, but also your resume and personal information. After you have followed through with these last minute law school application tips, you can press submit! How Many Law Schools Should You Apply to? Hannah Smith is a graduate of Stanford University and an Admissions Expert at InGenius Prep.